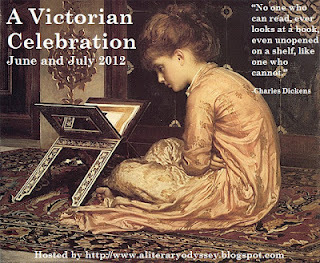 June is just one day away and that means A Victorian Celebration, the event hosted by Allie from A Literary Odyssey is about to begin. We're very excited to take part because we love the dear old Victorians in all shapes and forms, and a tribute to them is always a good idea in our book. We're really looking forward to reading: The Buccaneers and On the Origins of Species. We have mixed feelings about reading: Wuthering Heights and Great Expectations. Alexis is reading Wuthering Heights for the first time and she's not sure whether she'll enjoy it. Claudia is mildly allergic to Dickens. This list is just to give you a taste of the main focus on our blog in the next two months or so. Of course, reading magpies that we are, we might get distracted by other shiny Victorian titles and add them to the list/read them instead. Oh yes, and we'll also be covering some Victorian poetry and Victorian essays in two new series we're planning. If you haven't signed up yet, you can click on the picture below for the sign-up post on Allie's blog. And now we're off to see what everyone else is reading. Oh wow, what a list! I haven't read anything on that list except Possession by A.S. Byatt, which was a really wonderful book, especially when you get past the first hundred pages or so. On The Origin of the Species sounds like it should be interesting. It's such an important book, but even my mom, who is a biologist and avid reader, thinks it's pretty boring. Apparently the prose is rather slow. I'm interested to see what you think. You're doing two new series with poems and essays? I'm intrigued. As for Darwin, we'll ditch him if he turns out to be a snoozefest [insert joke about survival of the fittest here]. Hi! I just discovered your blog the other day, so this is my first comment here. I can' wait to see what you think of those books! I've only read one of them myself, "Wuthering Heights" that is, and I thought it was a good read. 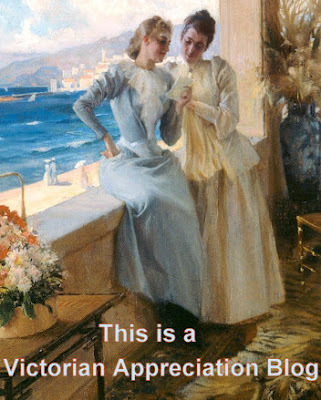 It was the first Victorian novel I read, and I was surprised by how much I actually liked it. My only problem with "Wuthering Heights" was that I was totally confused by the names when I was about ten pages into the story (do they really have to marry their cousins and name their children after themselves?). I actually had to sit down and draw a family tree before I could go on with it. Oh, and even though I've only read one novel by Oscar Wilde, he's one of my favorite authors. I think "The Picture of Dorian Grey" must be the perfect novel! Good luck too both of you! Hi, Vigdis, thanks for your comment! We like Oscar Wilde too :) A family tree could be useful for Wuthering Heights. We love drawing family trees for books, because we have poor memories for characters' names in general, so that's the only way to remember them. Great list! Really looking forward to hearing your thoughts on... well, all of them really. I'm hoping you will help encourage me to FINALLY get started on Possession, it's gathering dust! I love how you're "mildly allergic" to Dickens! Too funny. I used to have fear of Dickens until I read Great Expectations in college (sometimes I think I'm the only living adult who didn't read it in high school). And I was underwhelmed by Wuthering Heights, though many people love it. I liked The Buccaneers, at least the first 2/3 which were actually written by Wharton before her death. I love Wharton. I'm also hoping to read To Marry An English Lord -- I have a birthday coming up and I STRONGLY HINTED that I would like it as a gift. I am not subtle. Wuthering Heights is one of my favorites and The Woman in White is SO good. I'd like to read Darwin's Origin of Species someday but, as someone else mentioned, it seems pretty boring. Great Expectations was great, too, although I know it's not everyone's favorite Dickens. I'm hoping to read at least one Dickens (The Haunted House) during the V.C., but maybe two if I have time. I had a hard time getting into Possession but, about mid-way in I fell in love and ultimately really enjoyed it. Although, the book isn't really set in the Victorian period, right? Its setting is current day, but with certain flashbacks to the Victorian period... at least, from what I can remember. Oh, and you can't go wrong with Oscar Wilde! True about Possession, but we were too lazy to make another category for it, so we counted the flashbacks in this one :) Really looking forward to The Woman in White. It seems everyone's read it but me. Oooh! I hadn't heard of The Buccaneers, but that looks fabulous. I also own Possession, so perhaps I'll add that to my list of potential reads for the Victorian Challenge, too. Great reading list!